Much like many of the automotive machines strewn across the plains of director George Miller’s post-apocalyptic planet Earth, the Mad Max trilogy is an old rust bucket. Though once a magnificent motorcade of mechanical mayhem, they’re now weathered and worn-out. It may be impossible not to admire them, but it’s also hard to ignore how archaic they’ve become. Nevertheless, while the films themselves may feel outdated, the end-of-the-world theme remains a trendy topic amongst filmmakers. And woven in to the very fabric of this filmic tapestry are the brutal visions of baron wastelands that are the setting to Mad Max Rockatansky’s hopeless existence. Take last year’s The Rover for example, director David Michôd’s disturbing dystopic drama that played out within a similarly desolate desert wilderness. The markings of Miller’s ideas could be seen seared on to the surface of that superb apocalyptic story. But if you thought the heat radiating from The Rover was enough to leave you scorched and sizzled, you’re probably going to need sunscreen with a factor higher than 50 to see you through Mad Max: Fury Road. Miller has taken over 15 years to bring this fourth installment of the Mad Max franchise to the big screen, but it’s been worth the wait. With a bigger budget and better technology, the visionary director has crafted a finely tuned film fuelled with volatile amounts of fire and brimstone. Once more we find ourselves in middle of the deadly desert, where humanity has been broken and turned on each other in a bid to survive. 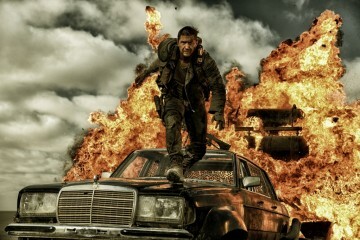 Against this backdrop Mad Max (Tom Hardy, replacing Mel Gibson) walks alone, searching for peace in amongst the pandemonium. 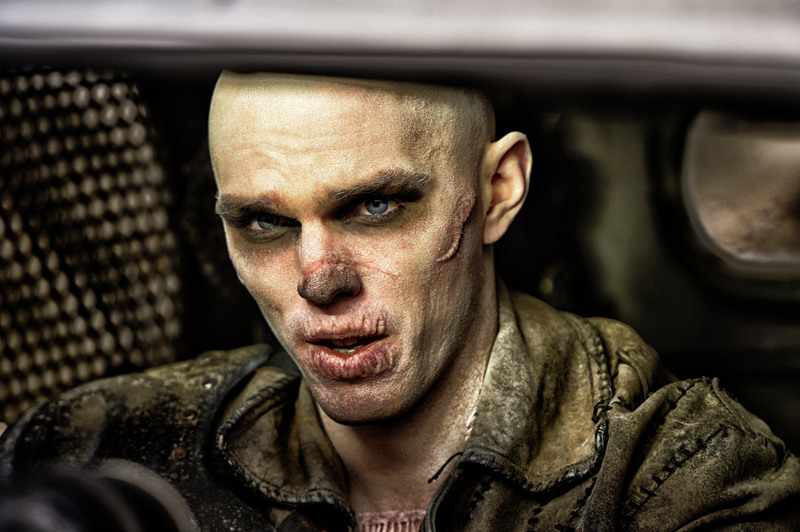 Soon he finds himself captured by the tyrannical leader Immortan Joe (Hugh Keays-Byrne, scarily sinister) and forced to act as a human blood bag for Nux (Nicholas Hoult, both heartfelt and hilarious), one of Joe’s terminally ill War Boys. 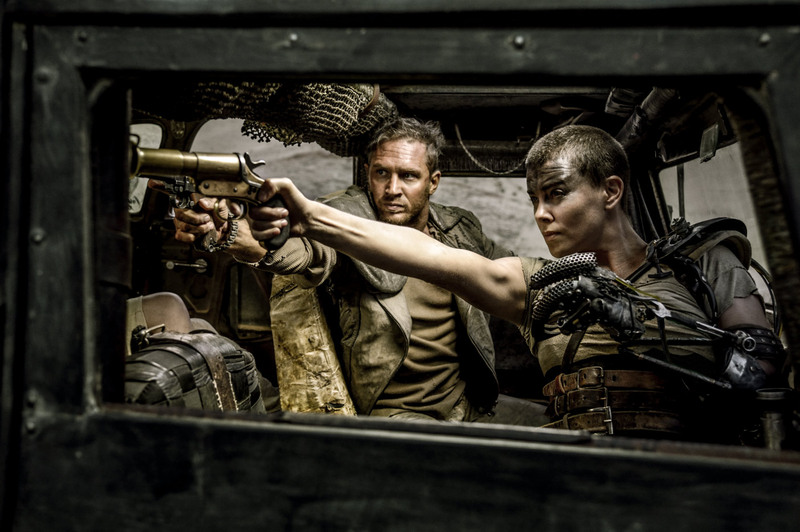 Max manages to escape and finds himself partnered with Furiosa (Charlize Theron), a woman who believes she knows which path to take in order to survive. 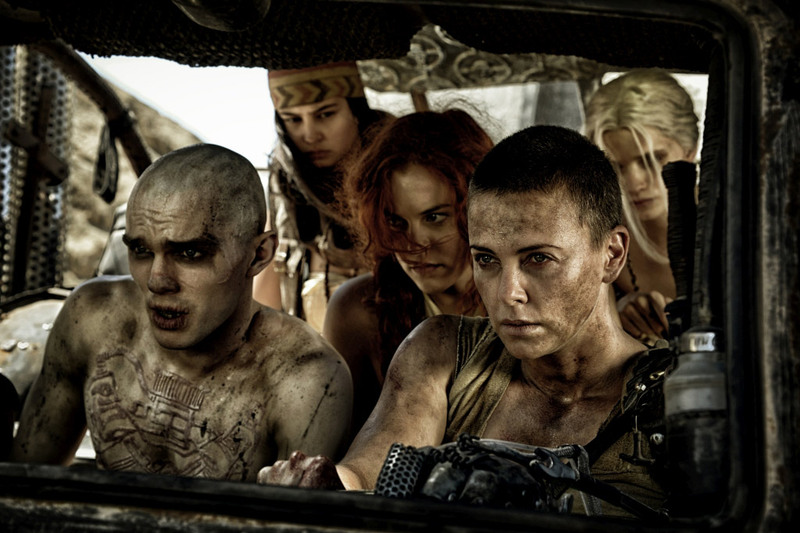 Together Max and Furiosa set off on a trip across the desert, accompanied by Joe’s quintet of escaping brides, fending off various foes in a bid to restore some sort of order to their chaotic world. Adhering to the stripped-down structure of Mad Max 2, the strongest part of the previous trilogy, Fury Road plays out as a singular chase sequence that’s magnificent in scope and masterful in execution. Think Steven Spielberg’s Duel fitted with a turbo-charged engine that turns Dennis Weaver’s red Plymouth Valiant into a gas-guzzling War Rig, and replaces his tanker truck pursuer with a marauding horde of motorists armed with flame-throwers and explosive spears. It really is every bit as deranged and demented as that description sounds, but its also a delirious and dexterous delight. Miller’s dedication to using practical effects instead of CGI gives the whole film a subversively raw and breathless quality that’s lacking in so many of today’s big-budget blockbusters. The spectacular stunt work, coordinated with great care and precision by Guy Norris, is at times so obviously dangerous that it’s liable to leave your heart beating louder than the roar of the engines. Visually, Fury Road is all but guaranteed to be the most audacious and astounding piece of cinema you see on the screen this year. The meticulousness of the practical effects is matched by Miller’s own artistic prowess. The hauntingly horrible landscape he created more than 3 decades ago here evolves into a literal hell on earth that reeks of death and decay. Everything you see has been planned down to the tiniest detail in order to give this polluted and putrefying place greater impact. Nothing you see is superfluous; the sight of women chained to breast pumps and being milked like cattle; the cracked lips and pale skin of a species who breathe nothing but contaminated air; the skulls that litter the landscape. It all adds to Miller’s dark and deadly dystopia. Yet while Mad Max’s latest movie may initially strike you as one in constant danger of losing its head, what lingers long in your mind is how grounded it is. 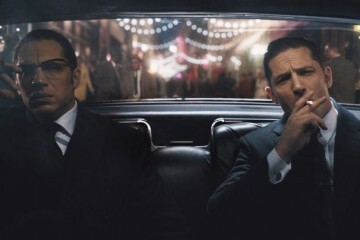 While Hardy’s resolutely restrained Max gives the film its heart, the emotionally tortured soul comes from Theron’s Furiosa and the five brides she’s helping to free. Here we finally have a blockbuster film that seeks to challenge sexism as much as it does cinematic convention. Strong performances from the likes of Rosie Huntington-Whitely and Zoë Kravitz instil the brides’ willingness to risk their own lives in order to escape Joe’s oppression with impactful profundity. However it’s Theron who single-handedly (literally) steals the show. Furiosa is a fascinating heroine, both fierce and flawed, but always determined to do the right thing. Her courage and strength in the face of great adversity, etched onto Theron’s face and glimpsed in her eyes, distinguish Furiosa as the sort of remarkable female role model we need to see more of in contemporary cinema. Her place alongside the likes of Sigourney Weaver’s Ripley within the annals of film’s finest heroines is already confirmed. Quite rightly, any arguments that Fury Road is too simplistic or too long are easily drowned out by the noise of this Nitrous-infused thrill-ride. With its blistering tension, batshit-crazy imagination and breath-taking intelligence, Miller’s long-awaited return to the world of the “Road Warrior” is a barnstorming blitzkrieg of bombastic brilliance.